The Rams have swept their first two matches to kick off their 2010 campaign. Obsessed with food and drinks in Long Beach? Click here to scroll through the archives. There are many great holidays: National Taco Day, Christmas, and, of course, National Beer Lover’s Day (or every other day if you’re like me). Here are some essential ways to get down on this holiday in pure Long Beach style. Make no mistake about it, Long Beach: DTLB is home to some great craft beer—and Beachwood BBQ & Brewing has the medal to prove it as it has been named the world’s best large brewpub at the Brewers Association’s 2016 World Beer Cup. In addition to its title honor, Beachwood scored three other awards: a gold medal for its famed Mocha Machine in the Coffee Beer category (the third largest category this year and for which Beachwood won a bronze in the last Beer Cup held in 2014); a silver for its American stout Kilgore; and a bronze for its decorated Milk Stout Udder Love. As the craft beer scene becomes more and more obsessed with sours, make no mistake that some of the nation’s most thoughtful — if not outright intellectual — sours are being made locally at Beachwood’s Blendery in DTLB. Ranging from flavors that mimic champagne to flat-out funky, the experimental brain of master brewer Ryan Fields will have you wishing for more. 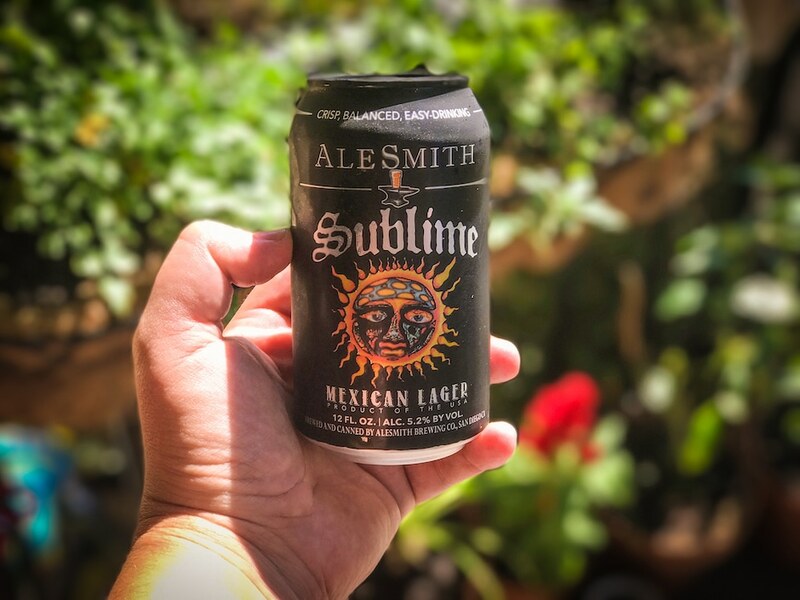 Whether you score a six-pack at Costco—psst: no need for a membership if you’re just buying alcohol, by the way—or stopping at the just-opened Sancho’s Tacos to drink it on tap, one must partake in the meeting of two Long Beach icons: Sublime and craft beer. I already called it the Most Long Beach Beer Ever and, in all honesty, the brew is dangerously drinkable. At a not-an-IPA-but-definitely-not-Bud-Light ABV of 5.2%, this Vienna-style lager is like Pacifico on steroids. Plus, it has Sublime on the can. Drink up with pride. Photo courtesy of Danny Dib. Long Beach, I challenge you to find a store in the city with a bigger, more exotic selection than Stearns Liquor. The East Side store, sitting in the most nondescript building ever, which makes it that more awesome, is home to 1,600 different beers on any given day. Even better? They got a walk-in cooler where some of their more exclusive bottles chill. It is one of the few places where you can score Russian River brews on the regular, discover breweries you never knew existed, or just grab some Beachwood bottles. Twenty-one years ago, four men—Steele Platt, Carl Jocson, Steven Reynolds, and Harold Herman—had a dream of creating a place with the most draft beers in the world. They were aiming for 400 but came in at 250. That place became Yard House and opened in Shoreline Village in 1996. Elvira was there to celebrate the release of Cold Spring Brewery’s Elvira’s Night Brew and, following the opening of Belmont Brewing Company down the shore, opened up Long Beach palates to the world of beer beyond Bud. Yes, it eventually turned into a chain and was bought for a cool $585M in 2012, expanding from 39 to 65 locations… But the OG location in Long Beach is where it all started.